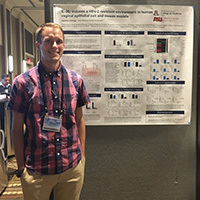 The College of Medicine – Phoenix Graduate Student Travel Award is designed to assist graduate students attending and presenting their research at scientific meetings (with preference given to those attending national/international meetings). Applications for funding are accepted twice a year in September and February; deadlines will be announced by the Graduate Training Office. Awardees are chosen on the basis of the scientific merit of their abstract, a letter of nomination from their Principal Investigator or advisor and their statement of research and career goals. 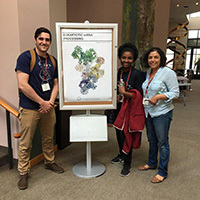 The applicant must be enrolled as a graduate student at a public University in Arizona and be working with a Principal Investigator at the College of Medicine – Phoenix. The applicant must be the first author of an abstract to be presented, and the abstract must be of the highest scientific merit as evaluated by the Travel Award Committee. The conference to be attended must take place before April for September submissions and before October for February submissions. Students will be reimbursed up to the total amount of the award upon submission of itemized receipts for meeting registration, travel, housing and/or per diem expenses. A cover letter signed by the applicant stating the purpose and amount of the request (up to $750). The award may be used for domestic or international travel. A copy of the program announcement for the conference to be attended. A copy of the abstract to be presented. A copy of the applicant’s CV, including education, honors/awards and publications. A letter of recommendation from the applicant’s Principal Investigator or advisor. A description of the applicant’s research and career goals, and how the proposed travel will facilitate these goals (no more than one page).